Faizul Hasan Qadri, an 80-year-old retired postmaster, is doing something for his late wife that every lover in this world would envy. 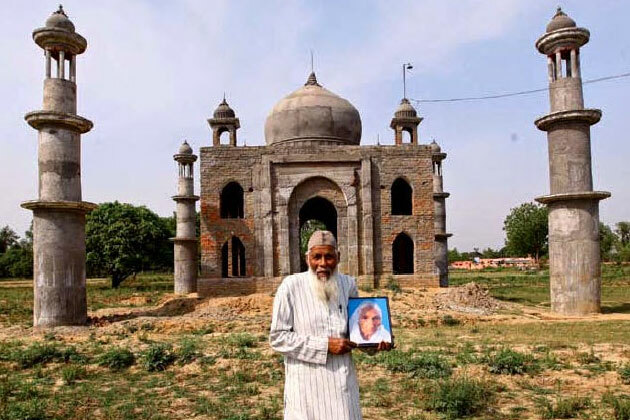 Three-and-a-half centuries since Mughal emperor Shah Jahan erected the breathtaking Taj Mahal for his favourite wife Mumtaz Mahal, this man from Bulandshahr in Uttar Pradesh is going to repeat the history by building another such monument. Qadri married Tajamulli in 1953. The idea dawned on him when one fine day his wife wondered whether anyone would ever remember them after their death. When she died in 2011, Qadri planned to build a monument dedicated to her. He sold a piece of land and some jewellery to get started on his idea. He began the construction on his agricultural land where he buried his wife. 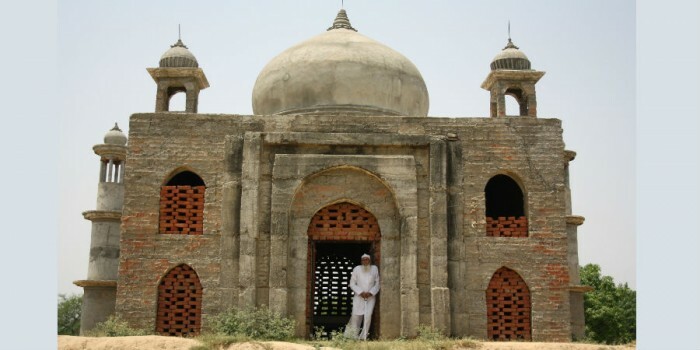 With the help of local mason Asgar, he has so far got the makbara (mausoleum) and the four minars ready at an outlay of Rs 11 lakh. The central building stands at 7ft tall. He has plans to create a lush green park around it and have a small water body at its backside too. But currently the work is held up as marble tiles are costing him a fortune. Many good Samaritans have offered him financial help. Even UP Chief Minister Akhilesh Yadav has come up to assist him financially so that he can complete the project. But he humbly refuses the offer. He would rather see the CM get his village school recognized by the education board. He looks forward to meeting the CM to put forth his humble request. 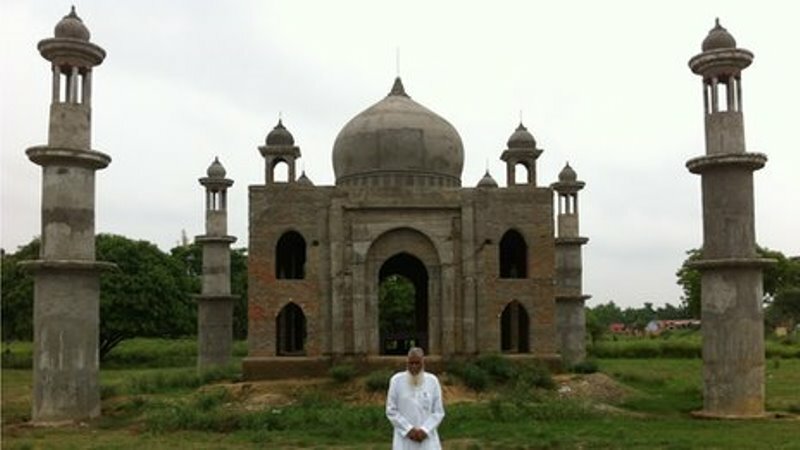 Qadri’s half-built monument is already a head-turner. Many are thronging to the place to have a glimpse of the other Taj Mahal in the making. Qadri’s story is a great epitaph to his love for his beloved wife.